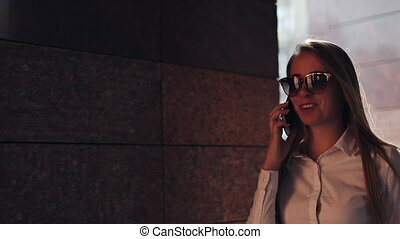 A young and ambitious man talking on the phone 4k. 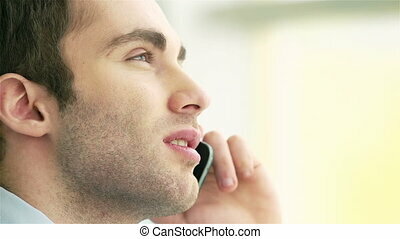 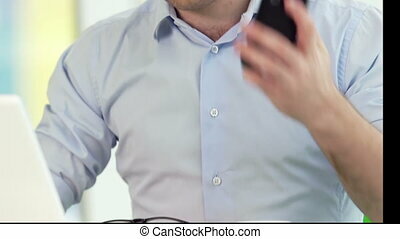 A young and ambitious man talking on the phone. 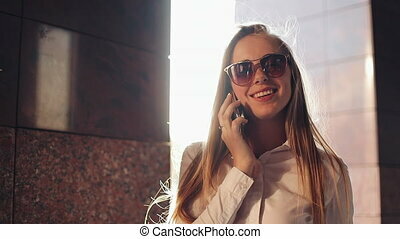 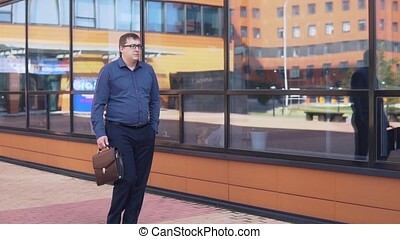 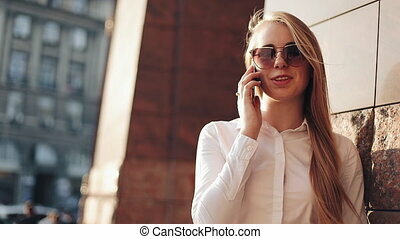 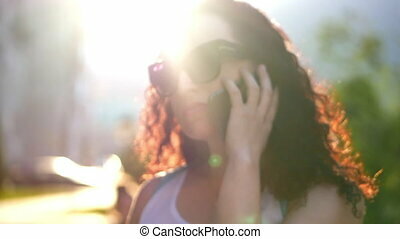 Young business woman standing near office building at the sunny city streets and talking on a mobile (cell) phone. 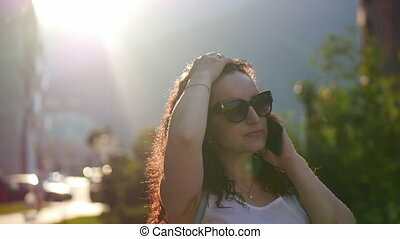 Attractive happy girl with sunglasses using cellphone outdoors, sunset.